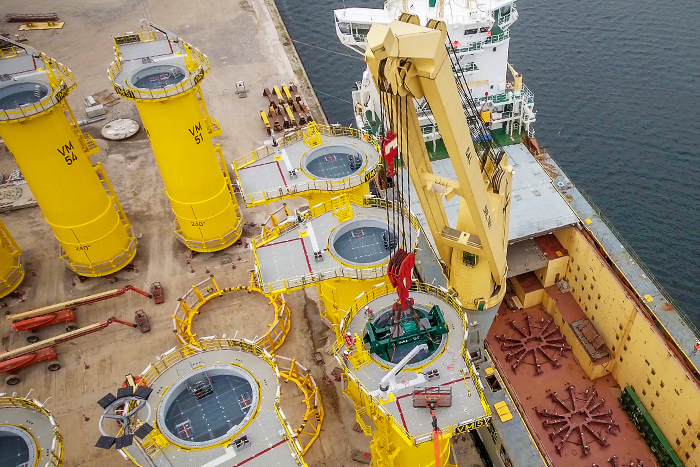 As of 1 April 2019, SAL Heavy Lift, Spain will open its doors to Spanish clients. In charge will be Sr. Carlos Claramunt Lebrón – a familiar name to many, who brings 15 years of commercial and technical experience in the maritime industry to the role. 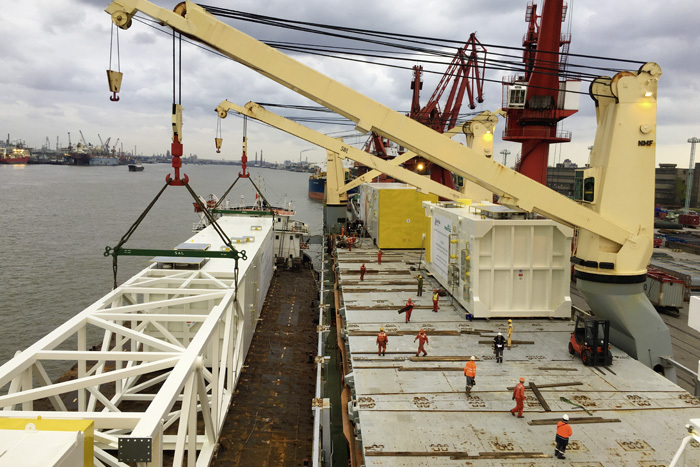 15 years of experience within the maritime sector, 5 years in heavy lift shipping. A qualified Naval Architect. Carlos can connect sales and marketing with deep technical knowledge and understanding. 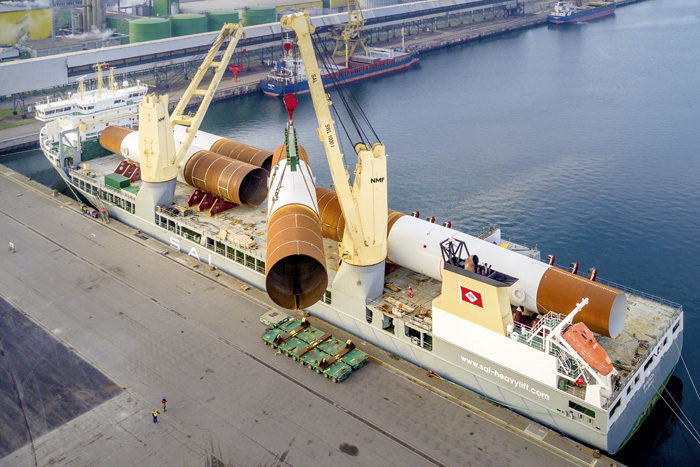 SAL Heavy Lift, Spain will reside in Madrid. The Davila Group is a family owned company whose origins date back to its parent company Joaquin Davila & Cia, which was founded in 1917. 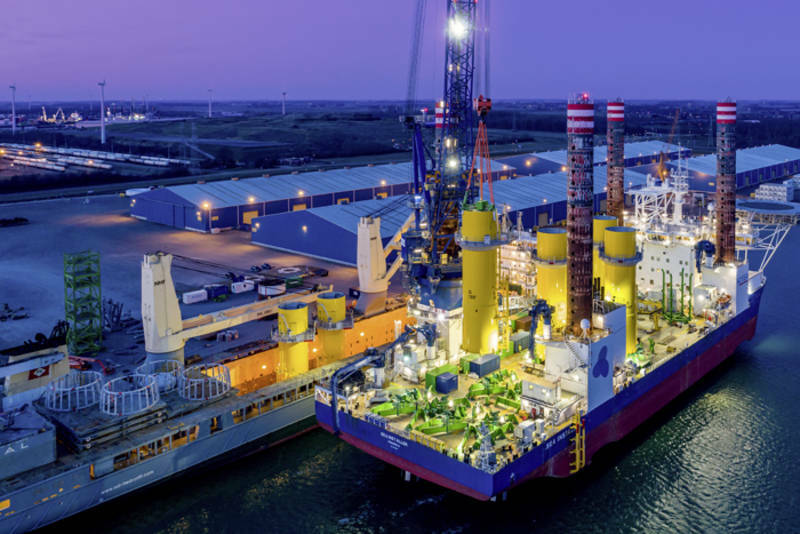 The Davila Group is a Spanish based company with more than 100 years of experience in the Spanish maritime sector, and with a strong international presence in South America. project cargo and container forwarding focused in all the different areas of the supply chain, customs agents with special focus in perishable cargo, mega yacht management and brokerage and their own Marina located in Vigo which includes one of the best known restaurants in the city. 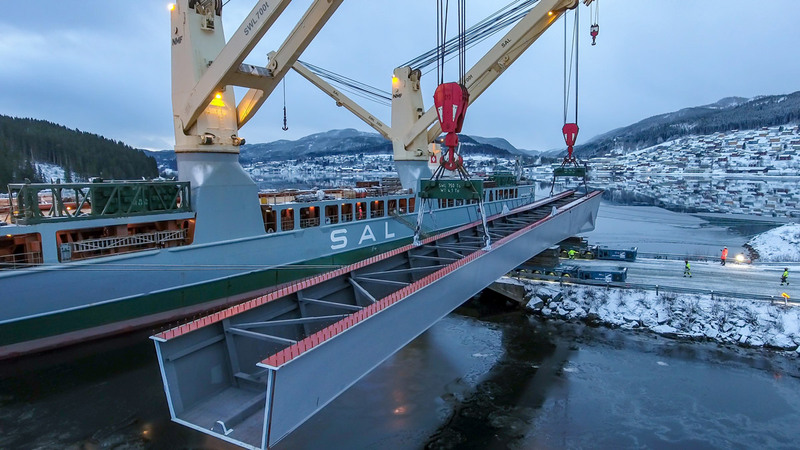 SAL Heavy Lift delivers 12 bridge sections for the Beitstadsundbrua bridge from China to Norway. 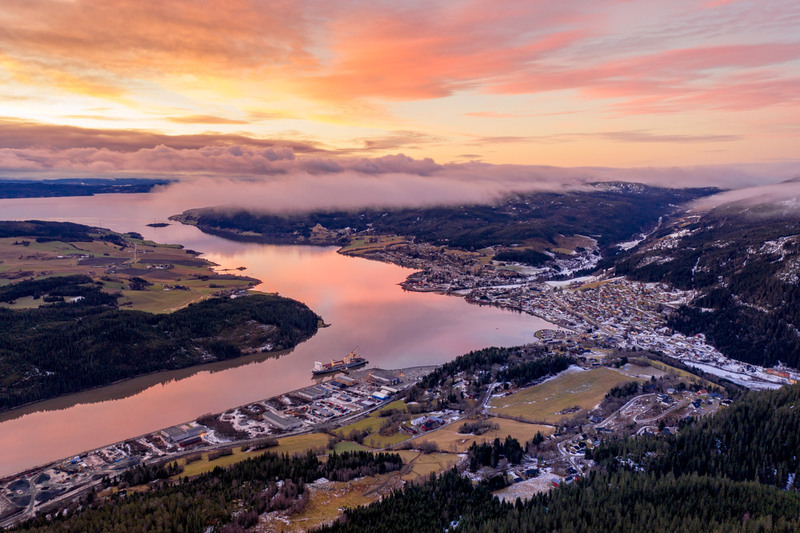 The final bridge is part of the largest road construction project in northern Trøndelag, will measure 580 m in length and will connect the municipalities of Steinkjer and Malm, crossing the Beitstadfjorden. The bridge will make travelling between northern parts of Trøndelag county considerably safer as well as reduce travelling time significantly. In a mountainous country like Norway, which is cut apart by deep fjords, bridge building is a virtue of necessity. Today there are over 18,000 bridges, summing up to 446 km and each with an average length of 250 m, spread across Norway. The latest addition will be the 580 m long “Beitstadsundbrua”. 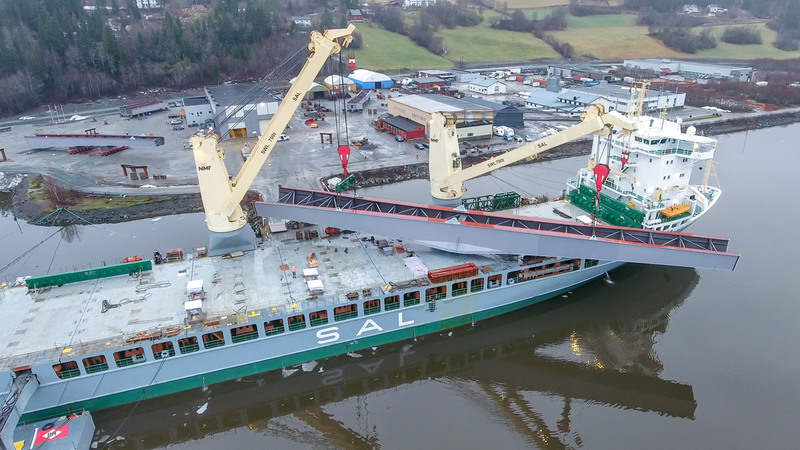 SAL’s heavy lift vessel MV Trina (Type 176) was appointed to support the construction of the new bridge by shipping twelve bridge sections from Nantong, China to Malm, Norway. 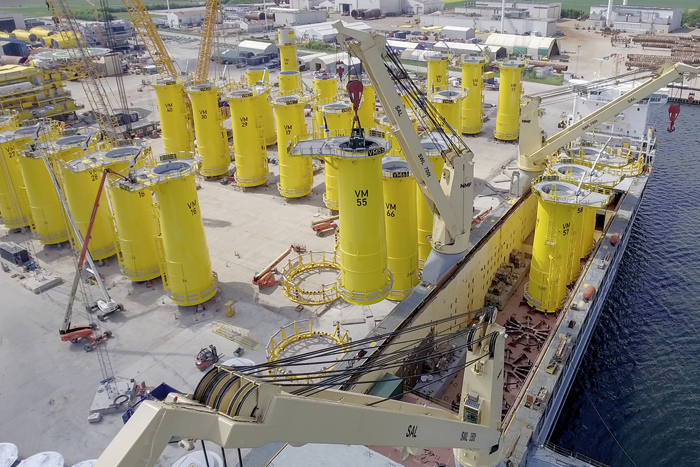 All twelve sections weigh a total of 2800 t, with the heaviest unit weighing 426 t (73.8 x 9 x 5.8 m) and the longest unit measuring 75 x 5.9 x 5.8 m (327 t). 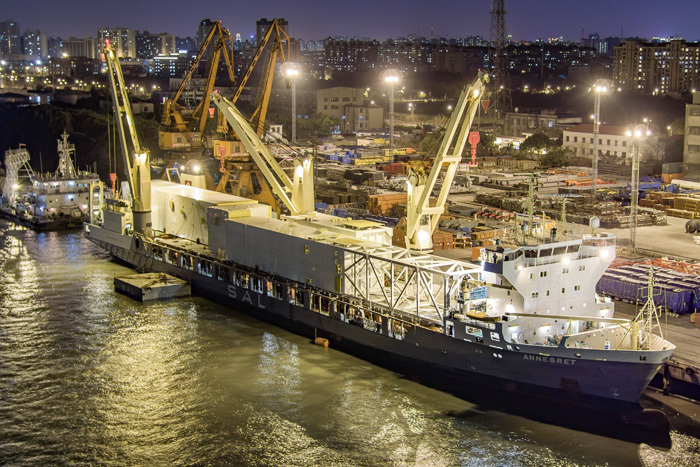 “It only took us 35 days to directly sail to Malm from Nantong in China,” Sune Thorleifsson, Head of Projects at SAL explains, “despite the unique conditions in the port of Malm, with an only 20 metre wide jetty and two metres tidal range, it took just six days until we were able to successfully and smoothly deliver 20,668 cbm of cargo to our client.” Due to local port regulations all twelve bridge sections were directly discharged onto SPMT’s, 25 metres away from alongside the vessel. 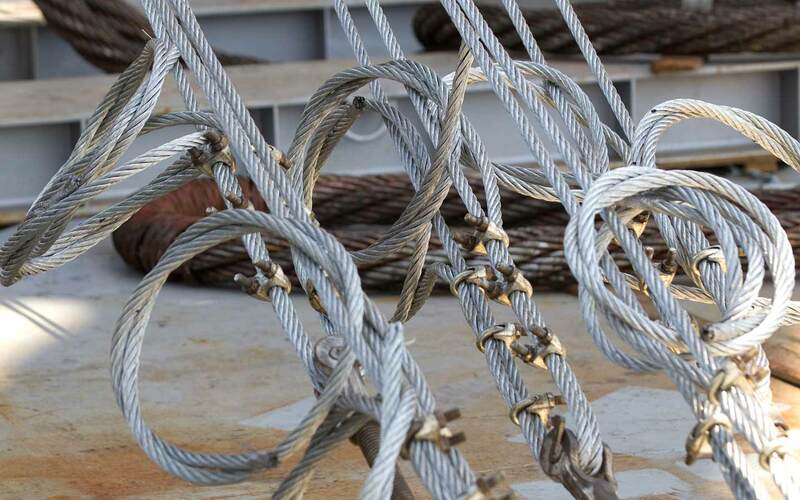 A tailor-made mooring arrangement contributed to the success of the discharging operations. 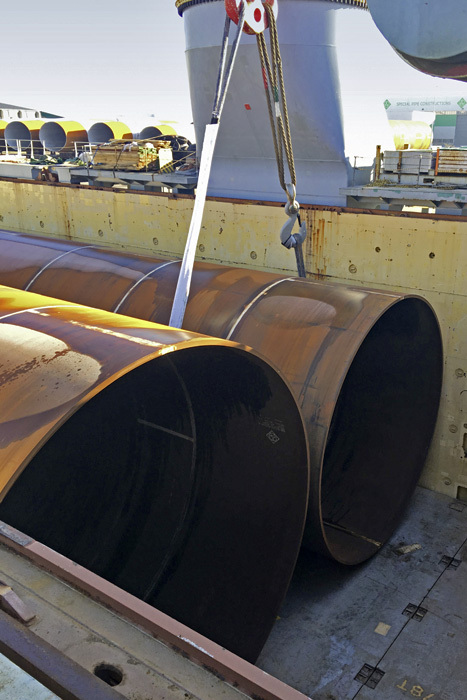 MV Lone has successfully delivered 49 TP’s of 530 tons each to the Horns Rev 3 project. 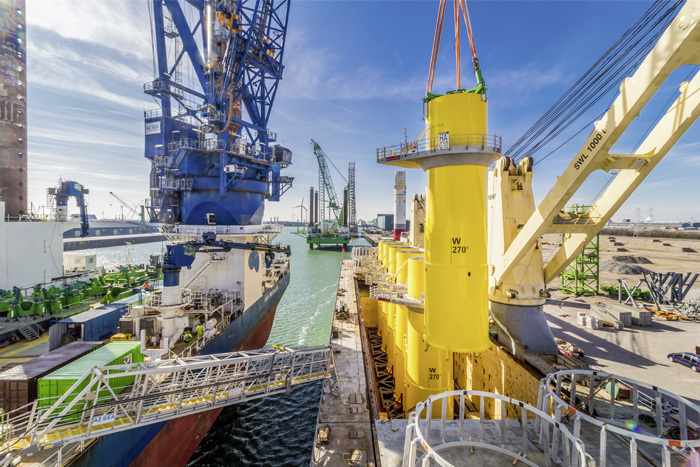 Due to the exceptional height of the TP’s – 32.27 metres –, a tailor-made TP lifting tool had to be designed by SAL Engineering to replace the usual crane hook. › Read the whole story here – plus new video! 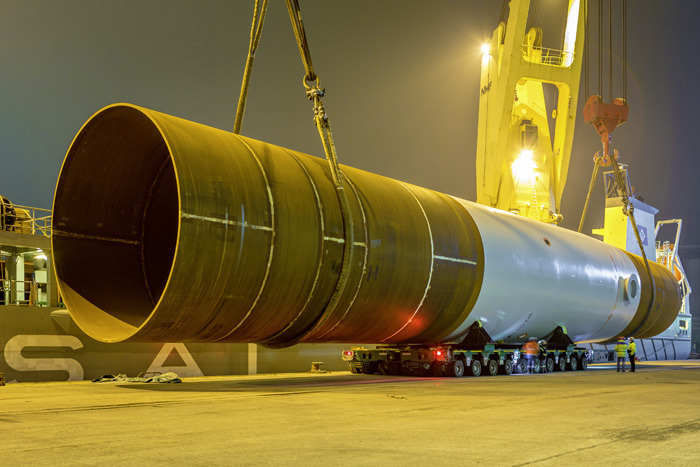 SAL Heavy Lift repeats success by signing contract for shipment of a total of 49 transition pieces for the Horns Rev 3 Offshore Wind Farm. 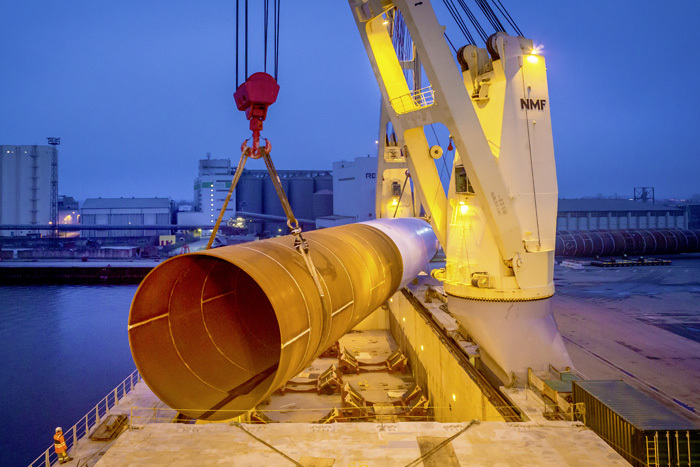 The contract has been signed with GeoSea NV, and underlines SAL’s performance and significant track record in the technical heavy lift transport market for complex offshore wind projects. 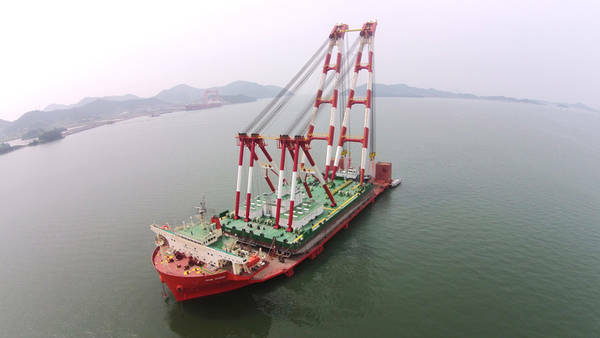 Each of the 49 TPs measures 32.27 metres in height, has a dimension of 7.12 metres and has a unit weight of 530 tons. The project will start early July and run for a period of approximately 65 days. 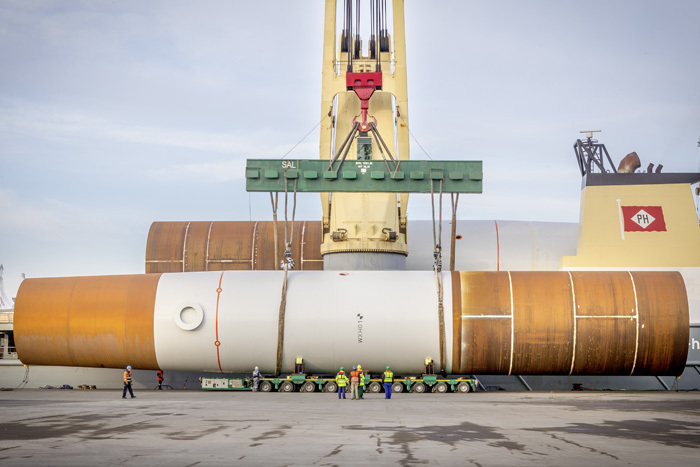 SAL Heavy Lift announces a brand new regular service linking West, South and East Africa with North Europe, the Arabian Gulf and Indian sub-Continent. SAL Heavy Lift is pleased to announce a new regular Africa service in response to the quickly developing oil and gas, refining and transport infrastructure sectors, particularly in West Africa. 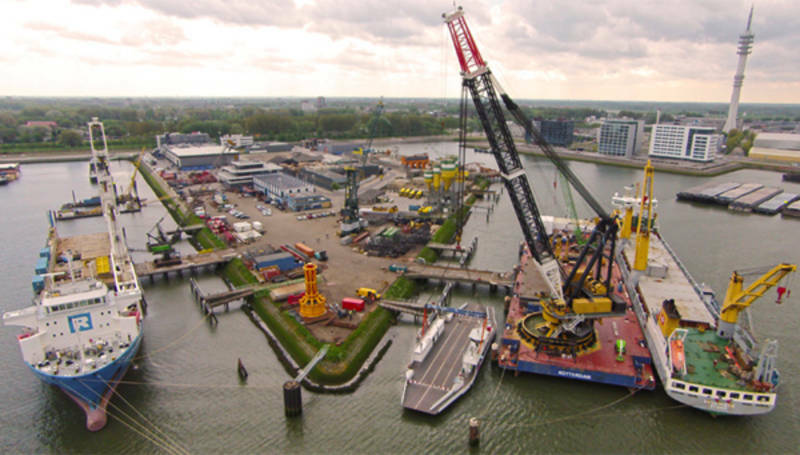 As of April 1st 2018 the world’s first pool for dock vessels will be established. 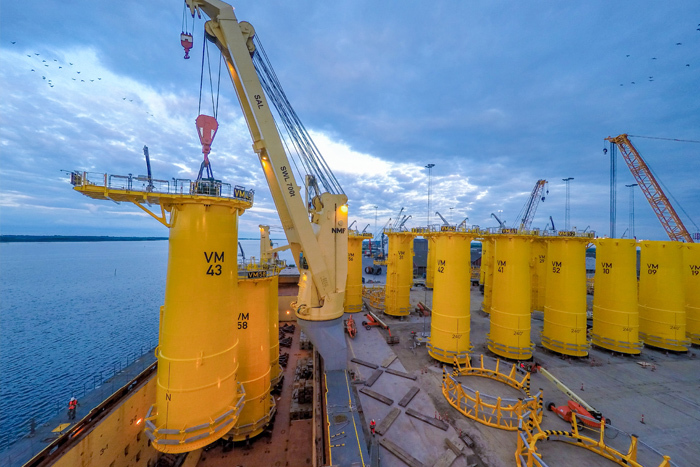 RollDock and SAL Heavy Lift will join forces for Roll-On / Roll-Off and Float-In / Float-Out heavy lift cargoes. 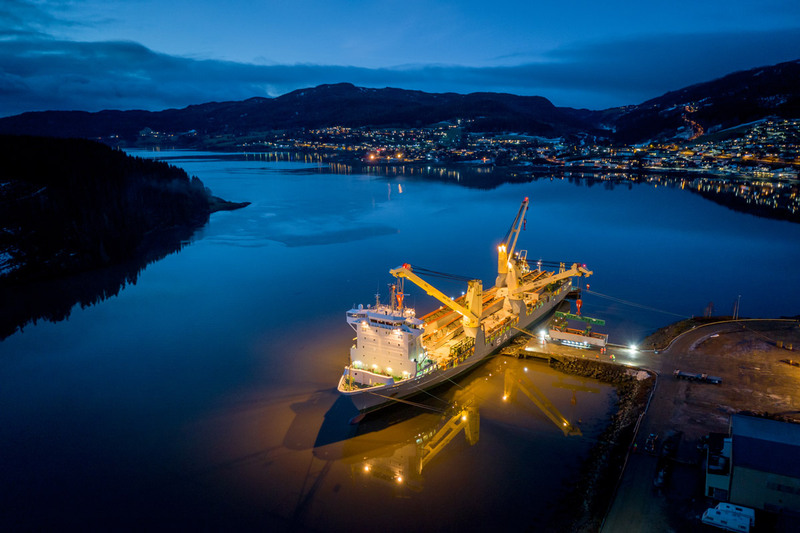 The pool will consist of the combined fleet of 6 vessels and will be managed by RollDock with SAL providing specialized heavy break bulk cargo support. A great new adventure has commenced between RollDock and SAL Heavy Lift. Both companies represent industry leading brands and solutions within their respective fields of heavy cargo transportation. 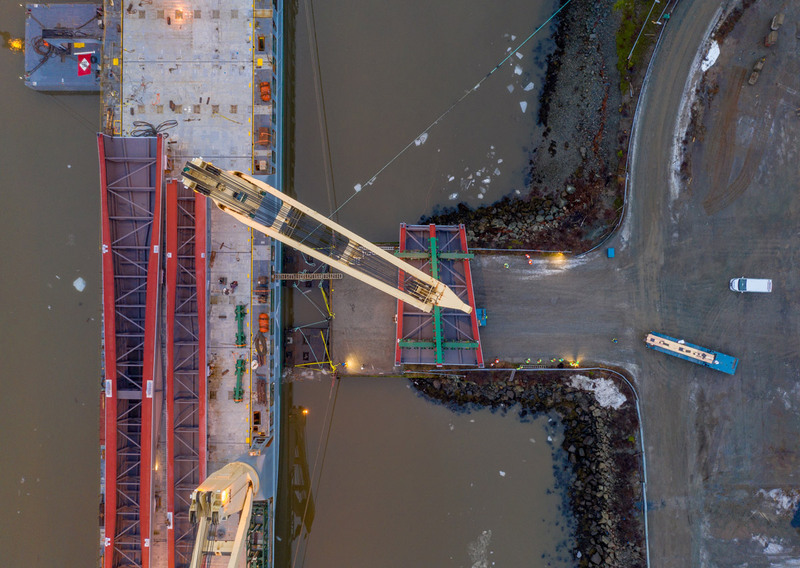 RollDock has over the past decade developed into a world recognized Roll on / Roll off + Float in / Float out carrier with their fleet of the most technically advanced dock type vessels. 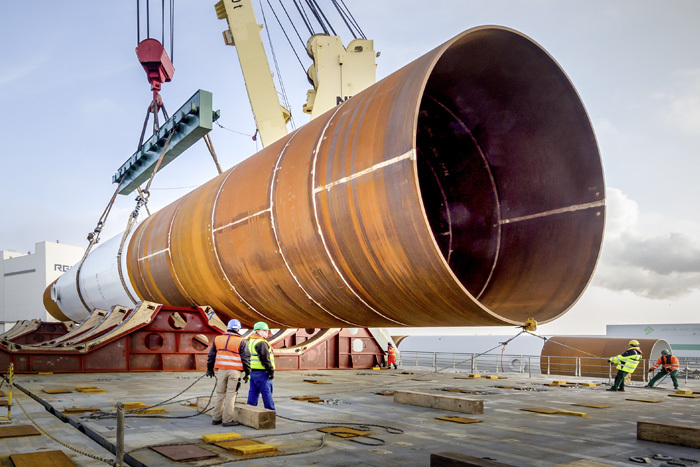 SAL Heavy Lift has for over 37 years, been a symbol of premium project shipping solutions with their fleet of high class heavy geared vessels. 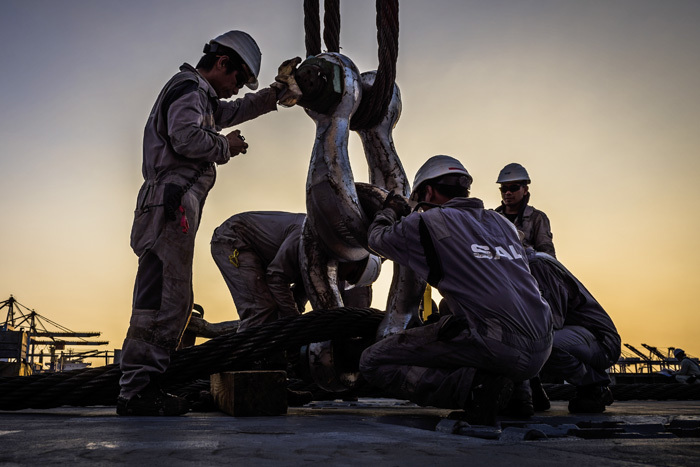 Offering unmatched opportunities for project markets world-wide, RollDock and SAL will stand together at the very forefront of technical marine heavy transport. 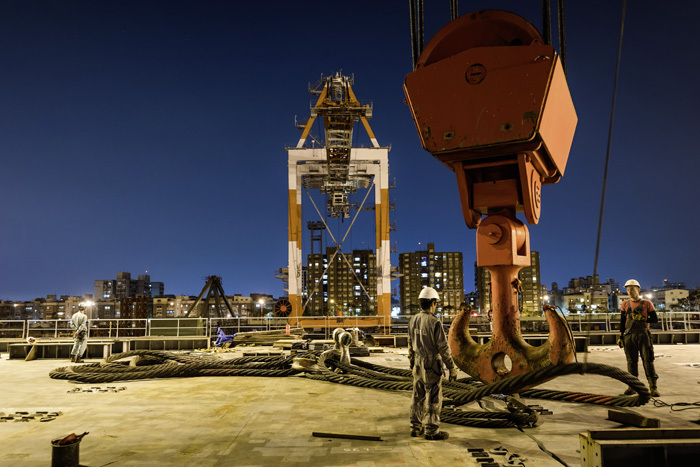 The pool will consist of six geared dock vessels, all being operated under the RollDock brand. Five of the vessels comes from the existing RollDock fleet (S and ST class vessels) and one from SAL (Combi Dock I). Through a strong global network of offices and agents, the pool will have representation in all major regions. Both companies will also continue independently and operate vessels outside the pool. Martin Harren, Managing Director, SAL states; “Between RollDock and SAL, we quickly saw the advantages of working together. 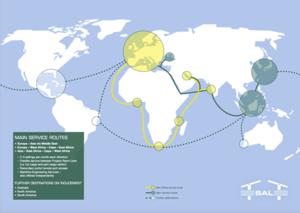 Through a consolidation, we will see a better utilization of the vessels and because we share our network of offices and agents, we can offer global representation of heavy shipping disciplines”. 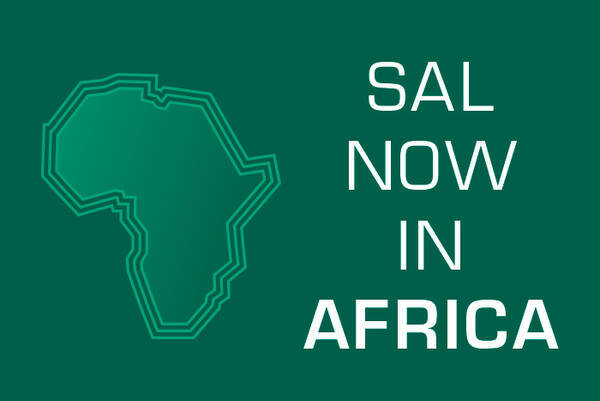 We are happy to announce that SAL has entered into an agreement as commercial agents for Pan Ocean. 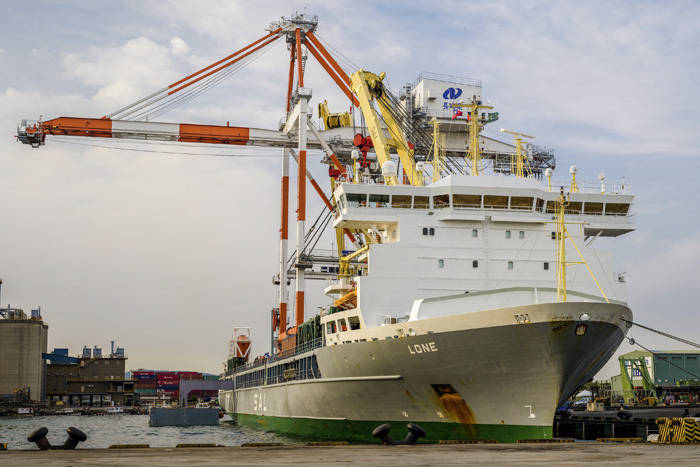 SAL will in future represent the two semi-submersible deck carriers MV Sun Shine and MV Sun Rise as commercial agents for agreed European countries and together with Pan Ocean promote the vessels to world markets. The format aims to utilize the networks each of the companies have in their respective home regions. 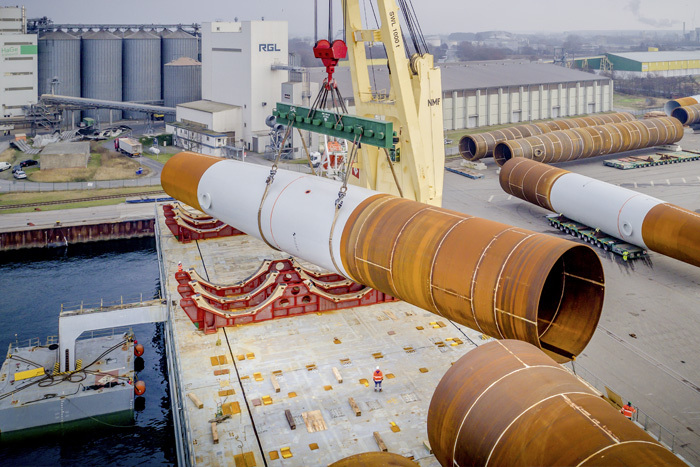 With Ro/Ro and Flo/Flo, SAL is established as a fully comprehensive heavy lift carrier being able to offer clients a wider array of heavy transport solutions. 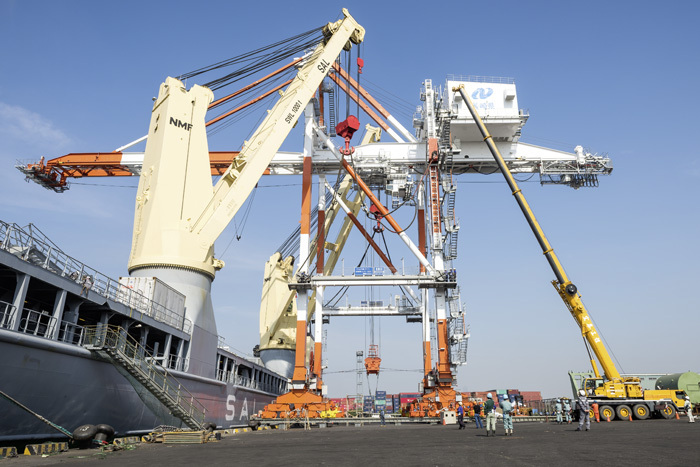 The amazing capacities of the MV Sun Rise and MV Sun Shine as semi-submersible heavy lift carriers opens possibilities to our clients that was earlier beyond the scope of capabilities. 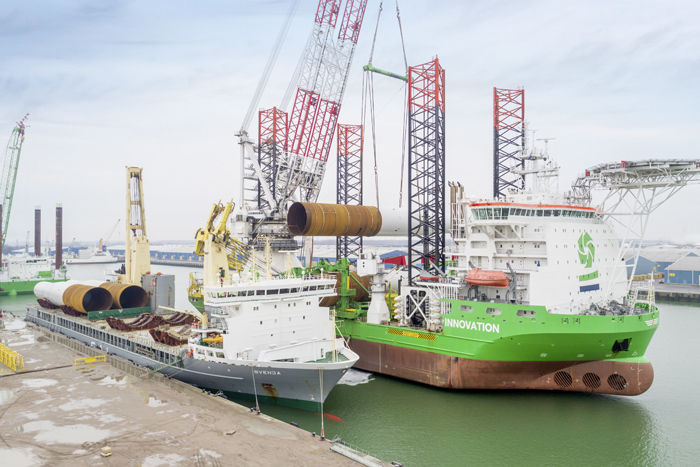 SAL has also included the semi-submersible deck carrier MV Papenburg to its fleet. Together with the Combi Dock vessels SAL can now offer wide ranging rolling and floating transport solutions. 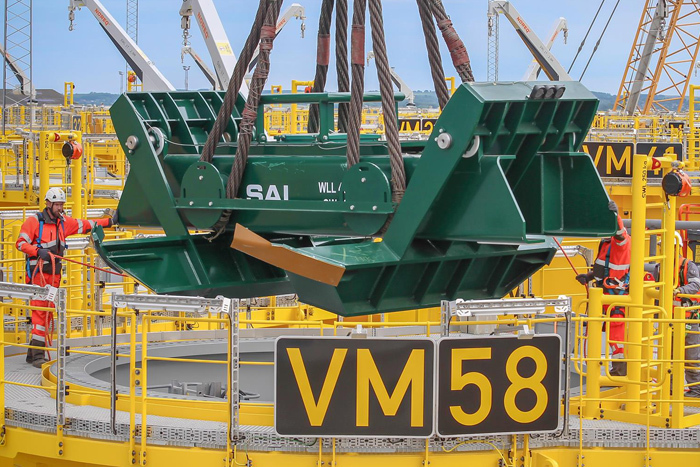 With the agreement as Commercial Agent in place, SAL now represents a fleet of 5 semi-submersible deck carriers containing the MV Combi Dock I, MV Combi Dock III, MV Papenburg, MV Sun Rise and MV Sun Shine. Specification of vessels and further technical details can be found here. SAL is busy these days transforming and optimizing our business to provide state of the art transport solutions. As a cause of this transformation, we wish to inform you about our decision to close our business unit SAL Offshore B.V. SAL will continue with its presence in The Netherlands by establishing an office having focus on shipping activities in the Rotterdam Area. For further information please find our letter of information. 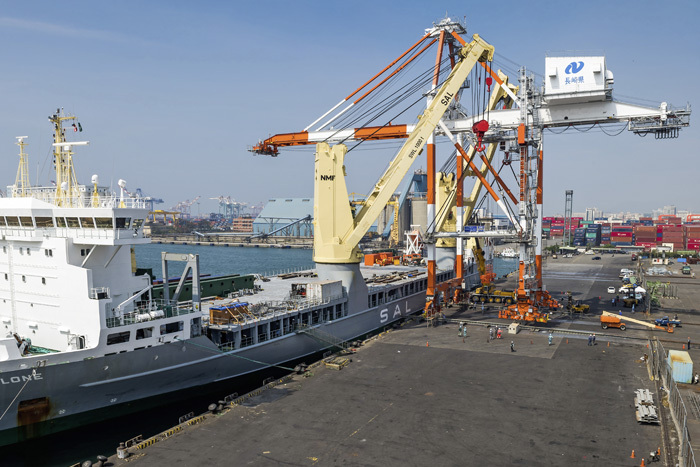 Bremen-based shipping company Harren & Partner and “K” Line, Tokyo, have reached an agreement for Harren & Partner to acquire German carrier SAL Heavy Lift on 27 July 2017. 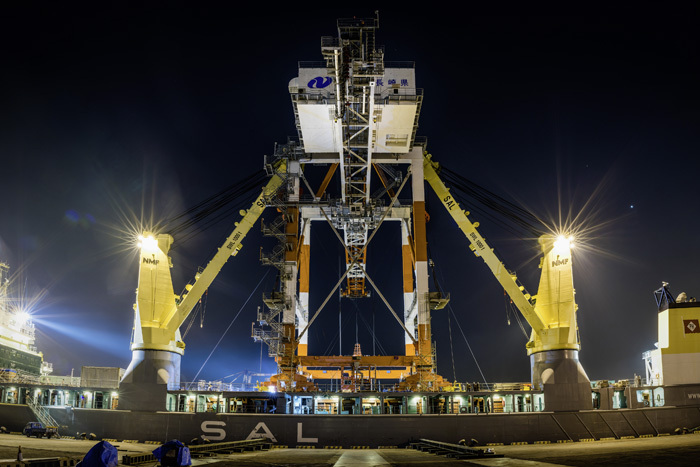 SAL will become the new dominant player in the super heavy lift segment (900 t to 2,000 t crane capacity). Read more in Harren & Partner's Press Release. Each shipment is served with basic drawings. It gives you the essential information on lift and stowage. Simple, and cost-effective. Need an additional documented Transportation Proposal? Select Economy. If you want a comprehensive documentation package on a wide range of technical aspects, select Business – it comes with a complete Operations Manual. If you look for a wide range of extended technical solutions and documentation hereto, Premium would be the right choice for you. Time flies. Seven years ago, SAL was nominated for the first delivery to the Walney Project. Back then MV Annette transported foundations from Rostock to Barrow in Furness. 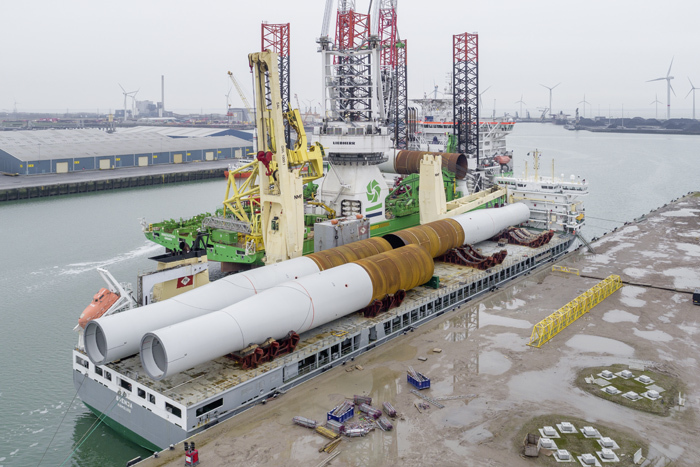 It becomes clear how the dimensions have changed within these few years – in 2010 our type 161 vessel (2 × 350 t SWL) was adequate, but now a type 183 (2 × 1000 t SWL) is needed to ship these colossal structures. SAL is back on the job for Walney once again. 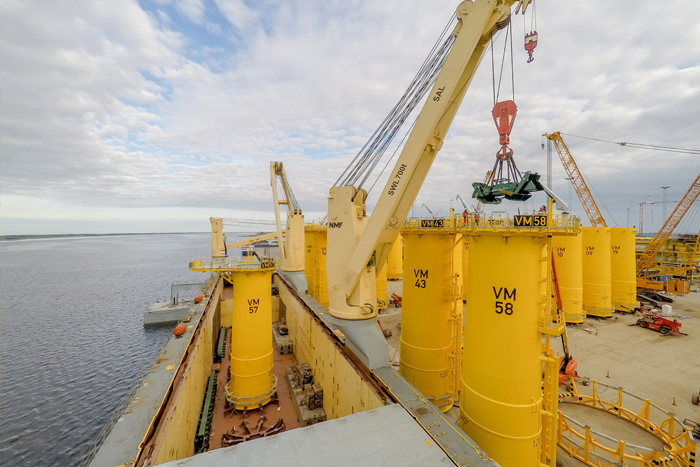 MV Svenja is currently playing a fundamental role in the extension of the Walney Offshore Windfarm, located in the North West of England. 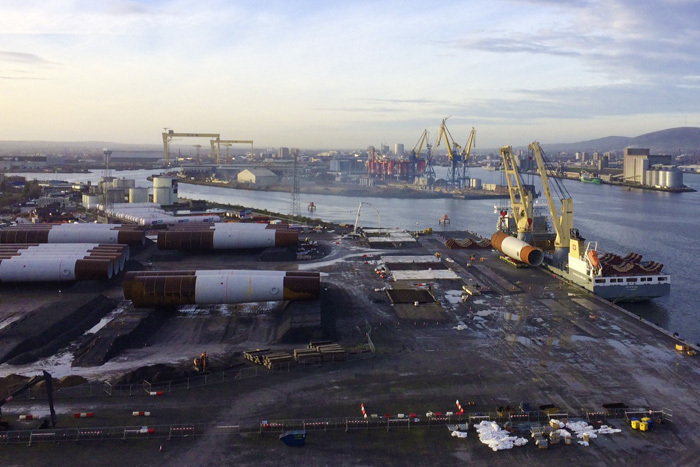 At the moment, the vessel is transporting a total of 87 colossal Monopiles (MPs) from Rostock to Belfast. 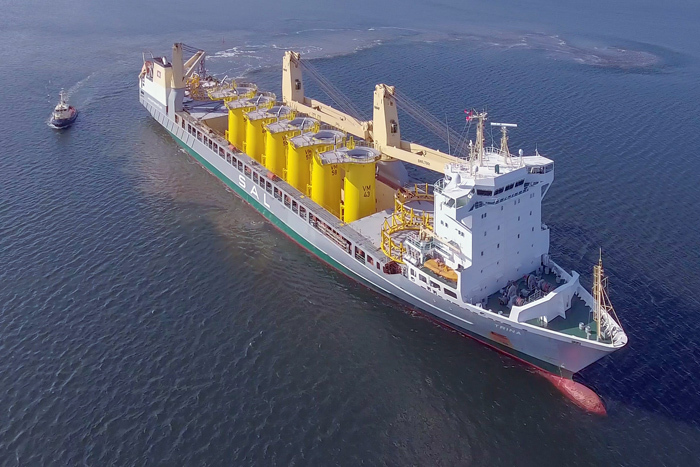 In addition 87 Transition Pieces (TPs) will be carried by MV Svenja from Tees and Aalborg to the project harbor. 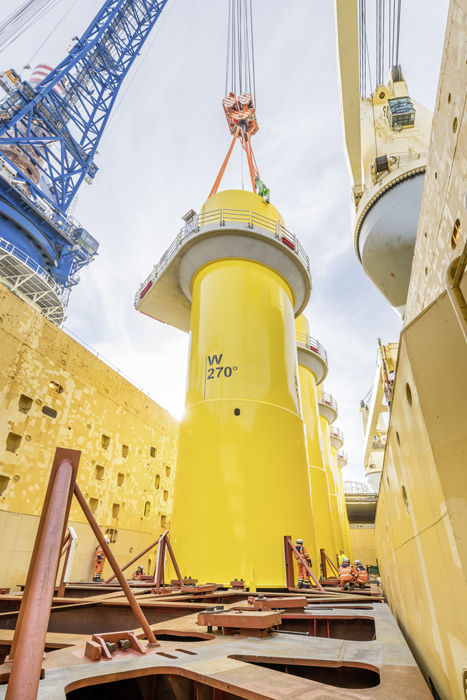 With a height of up to 30 metres, a diameter of up to seven metres and a single weight of up to 579 tons, the TPs are amongst the largest ones ever built. It is an enormous job keeping our MV Svenja busy until summer. The long-term project is characterized by several challenges. Two different types of cargo. Each requiring its own mobilization setting on board. To be shipped alternately. A tight schedule from customer side demanding flawless workflows for a pinpointed delivery. Three different loading ports. 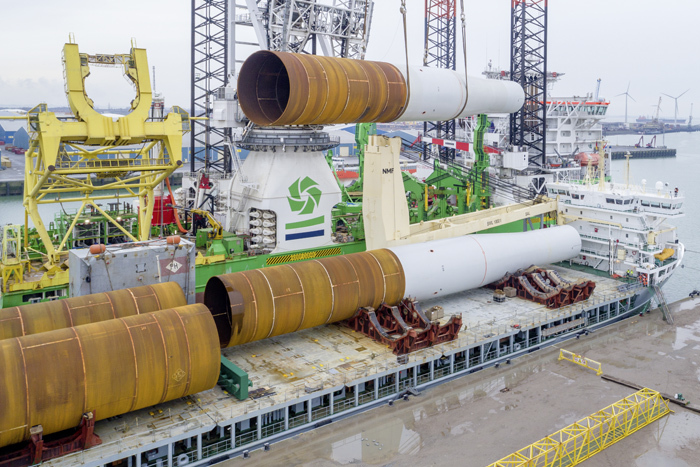 Limited possibilities at the Port of Rostock with only ten metres space forward and aft of the moored vessel. A sensitive cargo even if its appearance seem to tell the opposite. Philip Stackmann, Project Manager, and Sebastian Wenzel, Project Engineer, give us some insight into the project. 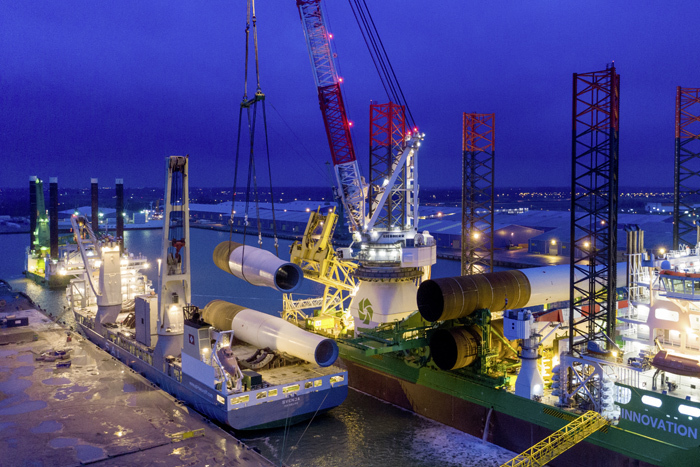 Sebastian: “The Walney TPs are amongst the heaviest and tallest ever built. But we already proved our expertise in lifting and securing TPs within the Veja Mate project. A combination of special designed steel cradles with tailor-made wooden inlets serves as seafastening arrangement for the MPs. The cradles are installed within a kind of plug and play system. They are stowed between steel plates welded as stoppers and additional steel wedges fix them. Easy to install, easy to remove. 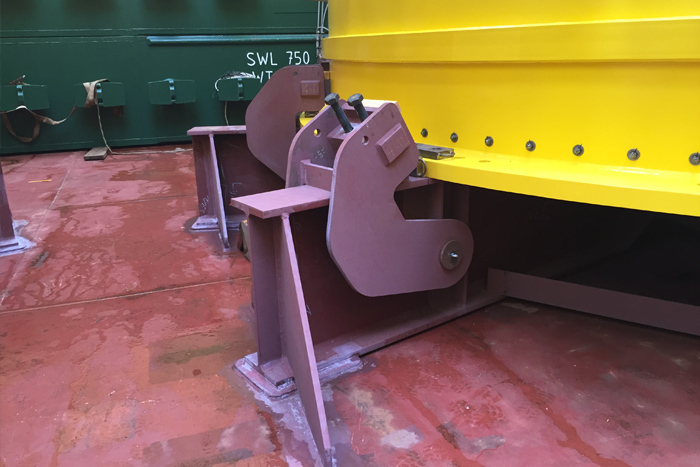 Thus, when the vessel’s crew changes the cargo setting from MPs to TPs, they can easily remove the steel cradles from the hatch covers and the tween deck. So, the TPs can be secured with extensive grillages on the tank top and MV Svenja sails with open hatch. A true giant had to be shipped from Taiwan to Japan. With 650 tons being a comparatively lightweight, the sheer dimensions of this crane are much more impressive. It has a height of 56.2 metres and comes with a beam length of 78.2 metres. The overhang to both sides of the vessel provides a grateful subject for dramatic impressions. But these impressive dimensions make the crane a sensitive structure. 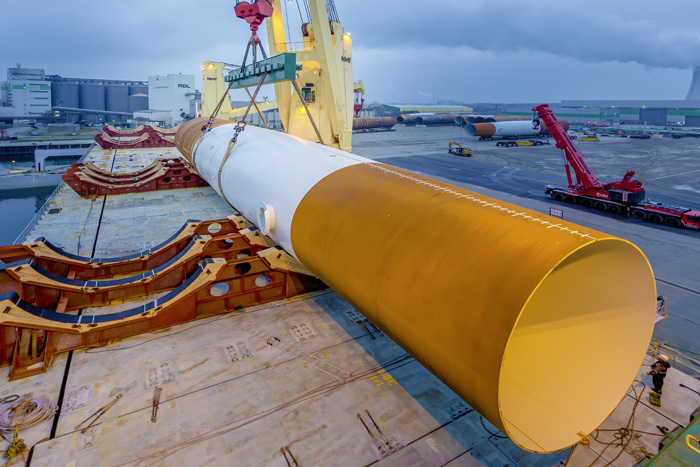 The bogies are some of the weakest points of the crane. They aren’t designed for high acceleration forces. So to prevent them from excessive loads during sea transport we strengthened them with structural steel section bracings. Lifting the crane was another challenge. The center of gravity was located at a high level. 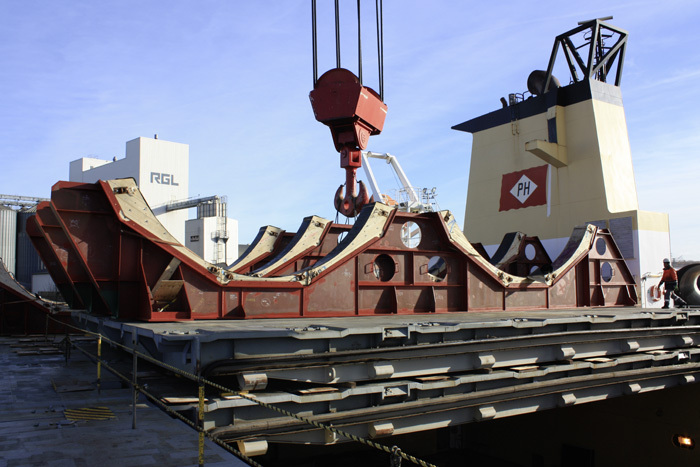 In addition the bogies were rotated 90 degrees to get them in line with the transport rail on deck of MV Lone. 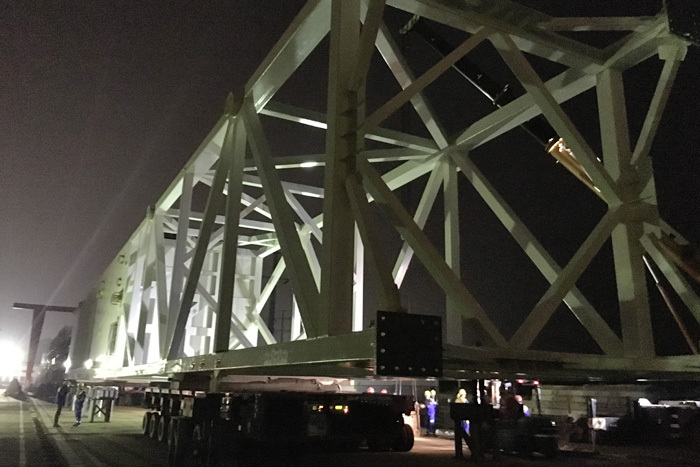 Overcoming challenging weather conditions, the crane was delivered safely to its destination in Nagasaki, Japan. Not only our 183 types are engaged in long-term projects. 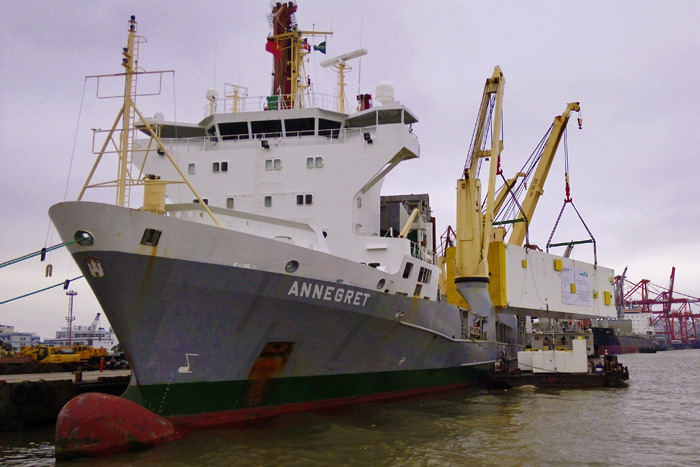 Since October 2016 our 161 A types MV Wiebke and MV Annegret have been performing sole charter shipments. Six trains of Cold Boxes and supplementing cargo had to be shipped from Shanghai, China to Jizan, Saudi Arabia. 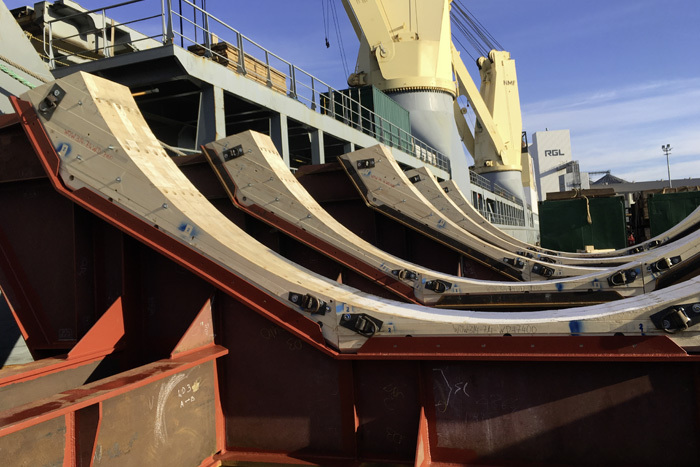 With each shipment containing 15,500 frt tons, the complete volume of the project summed up to approx. 100,000 frt tons. The largest Cold Boxes measured up to 38 × 9 × 8 metres with a weight of up to 410 tons. 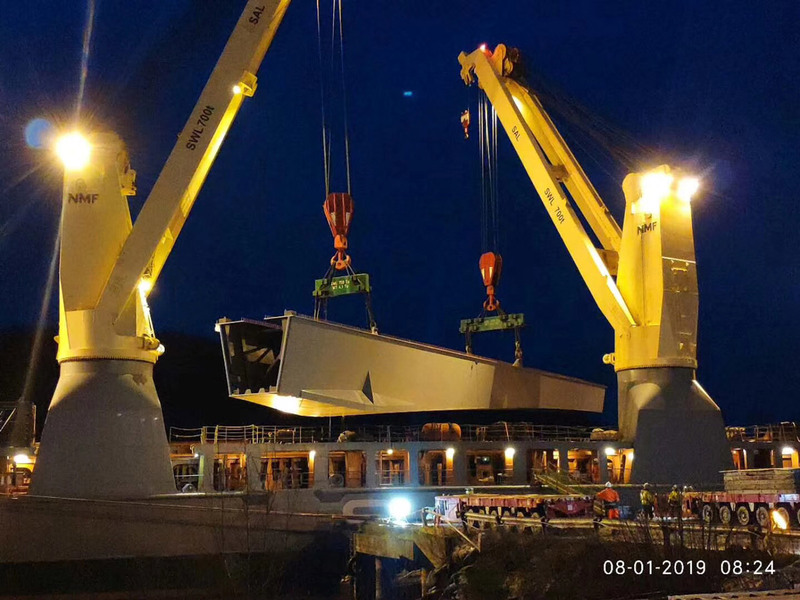 While the accessories were loaded from shoreside, the heavy items came from barge. Apart from the mere technical issues, the operational management had to be adjusted carefully to fulfill all necessary requirements. 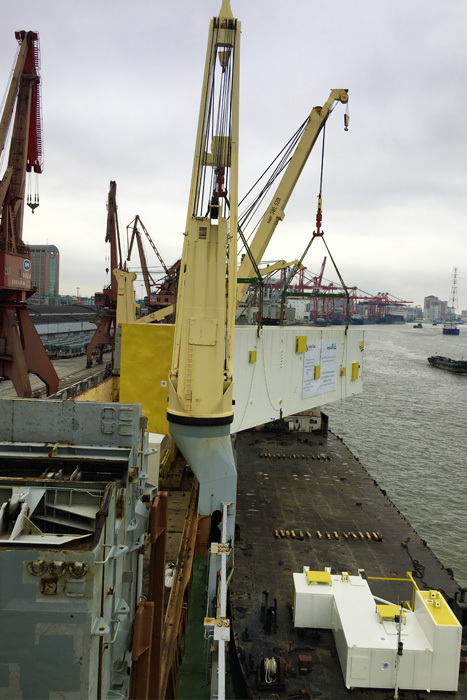 Quick berthing at a designated berth in Shanghai was principal for the flawless performance. 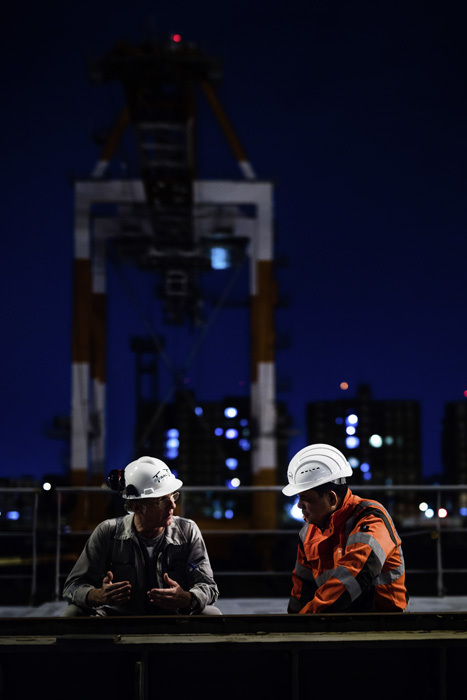 Strict coordination of all workflows to comply with all MLC regulations (Maritime Labor Convention) was another success factor for this project. The future of energy production lies in the constant growth and development of renewable energy sources like wind. 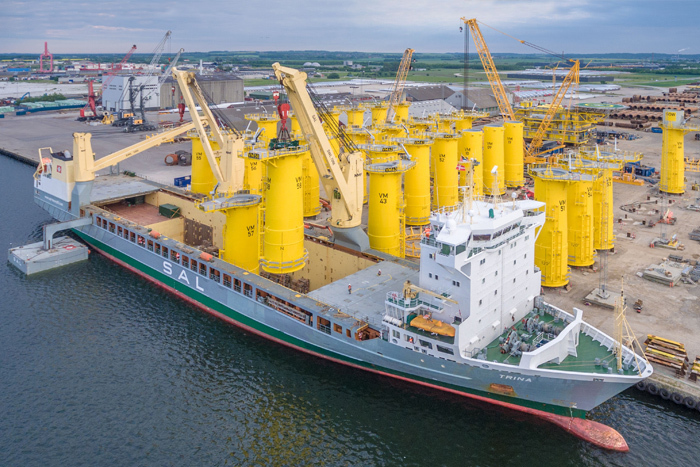 Several offshore wind parks are under construction, and SAL serves with its reliable and flexible vessels as a perfect project support for the complex construction processes. 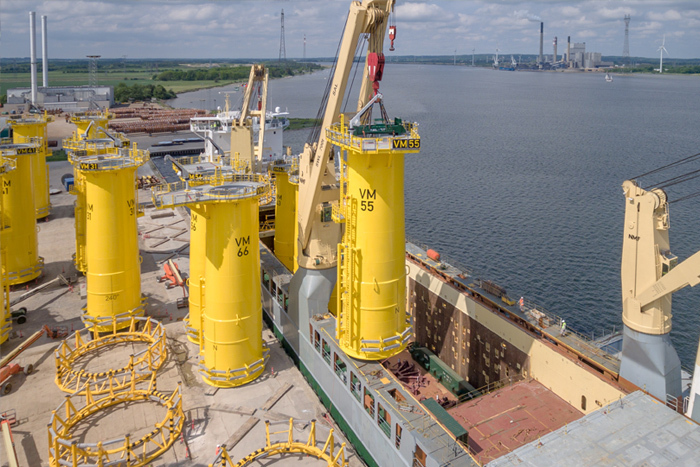 For the Veja Mate Offshore Wind Farm Project, MV Trina was engaged to transport Transition Pieces (TP) from the construction site in Denmark to the Netherlands. 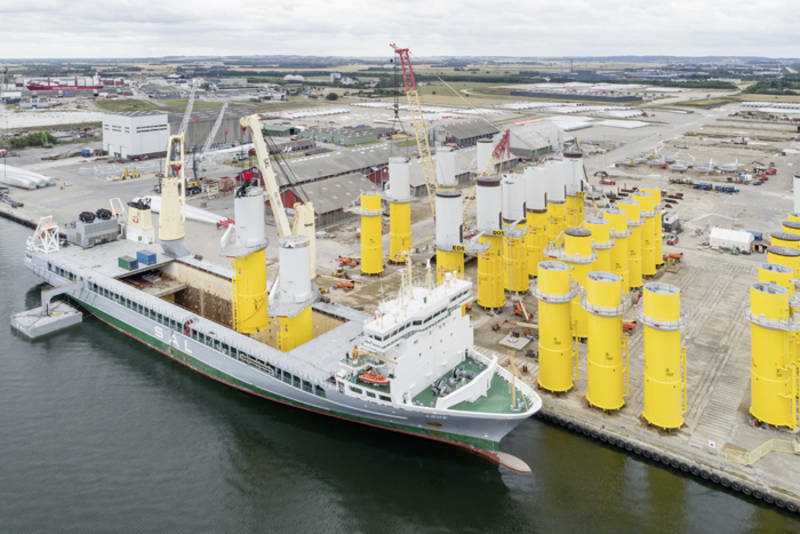 The wind farm is located in the German North Sea. 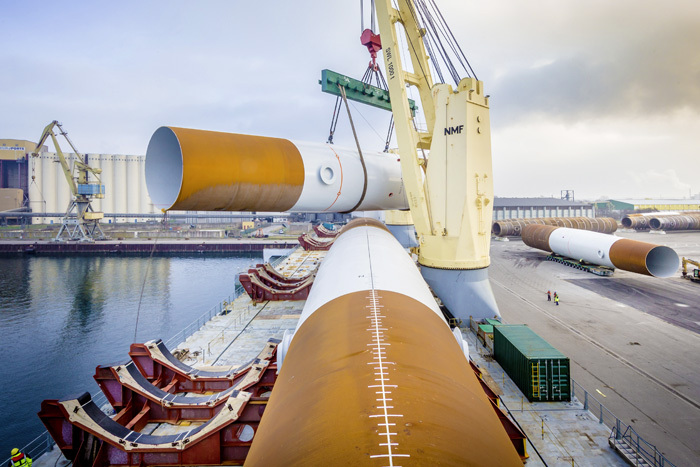 It consists of 67 wind turbines, each with a capacity of six megawatts and a rotor diameter of 154 metres. It will produce electricity for 400,000 German homes every year. 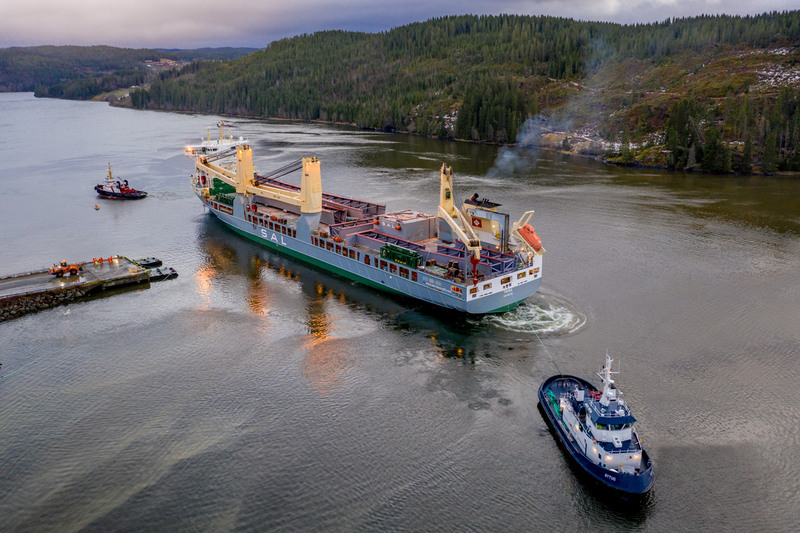 In twelve consecutive voyages, MV Trina transported 67 Transition Pieces (TP) together with corresponding platforms and anode cages – a total cargo volume of about 108,674 cbm. For this long-term contract, the Type 176 vessel was mobilized in Stralsund, Germany. All hatch covers and tween decks were discharged for the 22-metre high cargo. Special grillages were welded onto the bottom of the hold to ensure a stable and safe positioning of the TP’s. 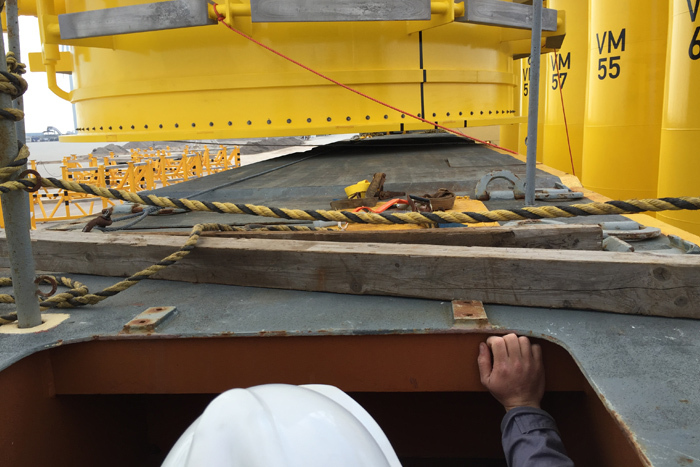 For the loading, SAL developed a special lifting tool, which was able to grab each Piece safely within the customer’s requirements. The particular challenge in this transport was neither the weight nor the number of the cargo but the lifting height. The items had to be lifted vertically from pier into the cargo hold with the ship’s cranes. 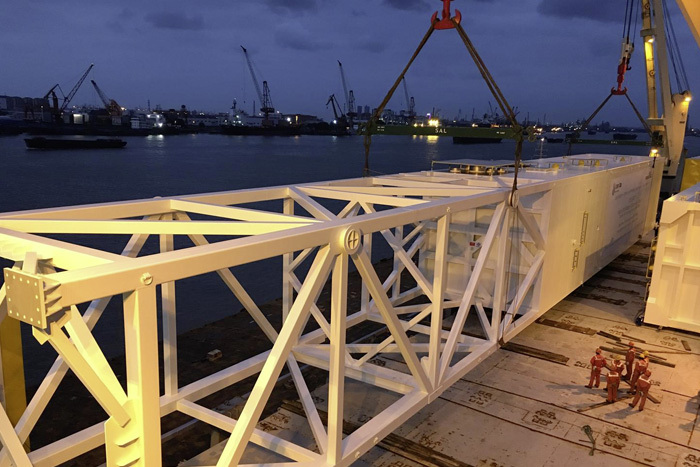 Sufficient planning and calculation ensured that the tight space between lower edge and deck’s surface did not cause trouble for the team involved.